Hi, Sony launched Nougat Stock Rom for Xperia XA Ultra. This is a Nougat Stock Rom and here is an easy and safe tutorial for install Sony Xperia XA Ultra Nougat Firmware. Xperia XA Ultra has Brilliant 6.0 inch screen with 1080 x 1920 pixels resolution. This phone comes with superb build quality and innovative design. Xperia XA Ultra has two outstanding features Mediatek MT6755 Helio P10 chipset and Scratch-resistant glass, it’s make this phone very smoother and faster. Step 1: Firstly enable Developer Mode and USB debugging mode on your Smartphone by this guide. 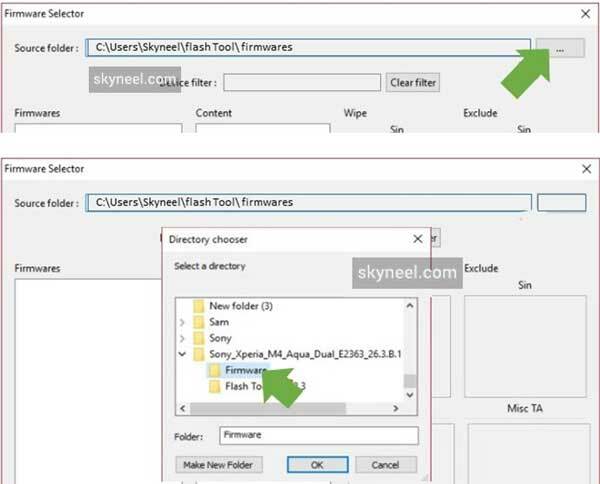 Download Sony Flash Tool from download table and install it. Now go to C:\Flashtool\drivers and install Flash Tool USB driver by double click on Flashtool-drivers.exe. You can download and install Sony USB driver on your PC. 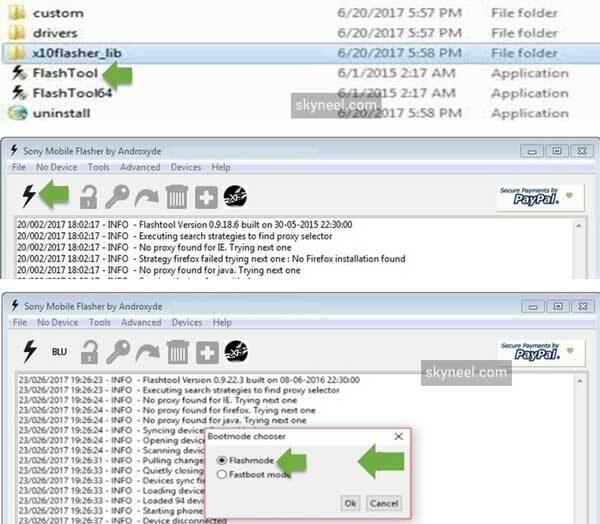 Step 2: Now download Sony Xperia Rom File and copy Sony Xperia Rom File into C:\Flashtool\drivers\Firmwares folder on your PC or Laptop. After then go back on Sony flash tool folder and double click on FlashTool.exe and run Sony Flash tool, click on Flash button or icon. Now, you will be able to see a BootMode Chooser tab, Select FlashMode in BootMode Chooser Dialog Box and click on OK button. Step 3: Now click on (browse icon) Load option and locate the Xperia Firmware (ftf file). Step 4: Select the downloaded ftf file and click on flash button. Now shutdown your device and long press volume down and Connect the phone to the computer using USB cable. flashing procedure will be start and It might to takes 5-10 minutes to complete. See in this image. Step 5: After the Flashing process completed, Disconnect your phone from Computer and turn on your Device. it might to take 4-6 minutes for your phone to boot on Nougat Rom. After install Sony Xperia XA Ultra Nougat Firmware, you can root your phone because root allows you to use a maximum of your phone without any restrictions. After root you will install custom apps, Rom and custom setting in your phone. But first read Root Advantage and Disadvantage by this article then follow this guide to root Xperia XA Ultra. I hope you like this New update Sony Xperia XA Ultra Nougat Firmware installation guide from which you will be able to easily install Sony Xperia XA Ultra Nougat Firmware without any extra efforts. If feel any problem in this guide then please use comment box. Thanks to all.